The Riverlands is a central region of the Seven Kingdoms of Westeros, consisting of the rich, fertile, and populous areas around the three forks of the Trident and the northern Blackwater Rush. At the time of Aegon's Conquest the Riverlands and the Iron Islands were ruled by House Hoare, the Kings of the Isles and the Rivers, although native river kings ruled centuries earlier. Because of their central position in Westeros and lack of natural boundaries, the riverlands have been a frequent battleground. The people of the Riverlands are known as "rivermen" or occasionally "riverlanders", and they are a mixture of hardy warriors, peaceful fisherfolk and devout smallfolk. Their lords have a reputation for being notoriously quarrelsome, and are refered to as "river lords". Noble bastards born in the riverlands are given the surname Rivers. The riverlands are ruled from Riverrun by House Tully, the Lords Paramount of the Trident. Notable houses of the region have included Blackwood, Bracken, Darry, Frey, Lothston, Mallister, Mooton, Mudd, Piper, Ryger, Strong, Vance, and Whent. Riverrun: House Tully makes its home in the great castle of Riverrun. Poised where the Tumblestone and the Red Fork meet, the castle has three sides, one facing the Tumblestone, one the Red Fork, which flows from the south, and the third overlooking a dry moat that can be filled to make the fortress all but unassailable. The sandstone walls rise sheer from the water, and the towers—placed where each of the three walls meet—provide an excellent view for leagues. Crenulations sit atop the low walls fitted with arrow loops for archers. The ivy-covered tower overlooking the Tumblestone is the Wheel Tower. At its base is the Water Gate, so named because it is half submerged, its iron portcullis rusted red. The river’s passage takes it past a waterwheel inside the tower. Most boats and river traffic coming to the castle tie up here. Inside the walls is the three-sided keep. It contains Lord Grover's solar, which has a stone balcony jutting out to the east like the prow of a ship. A beautiful and fragrant garden serves as a godswood. There one finds a riot of flowers, nesting birds, streams, tall redwoods, old elms, and a sad-faced weirwood at the center. Nearby is the sept. In traditional fashion, it has seven walls, fashioned from the same sandstone as the rest of the castle. Inside are painted marble statues of the Seven. The Great Hall is set aside for large councils and has an attached private audience chamber that rises above the Great Hall. The high seat of the Tullys can be found here. In addition, Riverrun has a windowless dungeon below the Keep. Briarwhite: Briarwhite is one of the many holdfasts in the Riverlands. Fairmarket: Fairmarket is a modest-sized town. It is noted for having a wooden bridge that spans the Blue Fork. One finds Fairmarket about five days travel from the Whispering Wood. Harrentown: Harrentown is a small community that stands in the shadow of Harrenhal on the northern shores of the Gods Eye. Lambswold: Lambswold is a small village. Maidenpool: The ancestral seat of House Mooton, it’s said that Maidenpool was where Florian the Fool first spied Jonquil, catching her reflection in the waters while she bathed. From Maidenpool, one can take the Duskendale Road to the south. Mummer’s Ford: Mummer’s Ford is a holdfast in the Riverlands overlooking the Green Fork, upriver from the holdfast of Sherrer. Nutten: Nutten is a small town. Ramsford: Ramsford is a small town in the Riverlands that offers crossing of the Blue Fork. Riverbend: Riverbend is a small town. Sallydance: Sallydance is a small village about four days ride from the Lychesters’ keep. This town features a fine sept with leaded glass windows and icons of the Seven. The Mother wears costly robes, the Crone carries a gilded lantern, and the Father wears a silver crown. Saltpans: A port on the Bay of Crabs, Saltpans sports a small castle with a tall square keep hidden behind a curtain wall. Sherrer: Sherrer is a stone holdfast in the Riverlands, situated along the Green Fork. Stone Hedge: Stone Hedge is the keep of House Bracken. A small village surrounds it. Stoney Sept: About a fortnight from Acorn Hall, near the Blackwater Rush and Tumbler’s Falls, stands the large town of Stoney Sept. The town sports a tall wall for protection and features a fine sept on a hill for which it takes its name. Stoney Sept also has a stout holdfast that seems small for a town of this size. At the center of town is a market square with a fountain carved to resemble a leaping trout spouting water into the shallow pool. Fronting the square are a number of shops, inns, and taverns, most notable of which is the Peach, a brothel, and inn of some fame. Tumbler’s Falls: Tumbler’s Falls is a small town on the Blackwater Rush. Wendish Town: Wendish Town is a timbered holdfast on the Green Fork. Whitewalls: Whitewalls is a small town. House Tully of Riverrun is one of the Great Houses of the Seven Kingdoms. Lord Grover Tully, the Lord Paramount of the Trident, rules over the Riverlands from the Tully seat of Riverrun. While never kings of the Riverlands, the Tullys are an old family, tracing their lineage back to the Age of Heroes. They were chief among those river lords who deserted Harren the Black and sided with Aegon the Conqueror. For their part, Aegon raised them up as lords paramount of the Riverlands and required the other lords to swear fealty to House Tully. The Tullys have ruled these lands ever since. In 101 AC during the Great Council, Lord Grover Tully spoke in favor of Prince Viserys Targaryen over Laenor Velaryon as the successor to Jaehaerys I. The Tullys rule over, in name at least, the quarrelsome river lords. In the political turmoil of Greens vs Blacks, the aged Lord Grover supports the greens, but his grandson Elmo and great-grandson Kermit supported the blacks. And it is the younger generation that has more sway with their vassals then the elderly man that is thought of to be one foot in the grave. 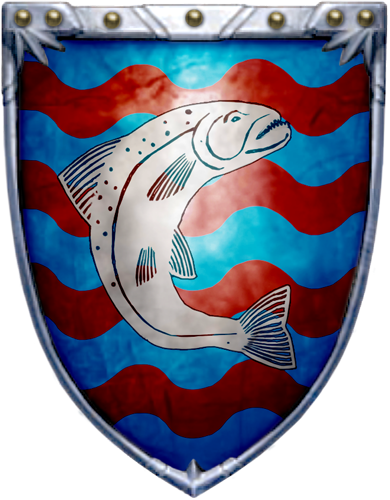 Their sigil is a leaping trout on a field of blue and mud red. 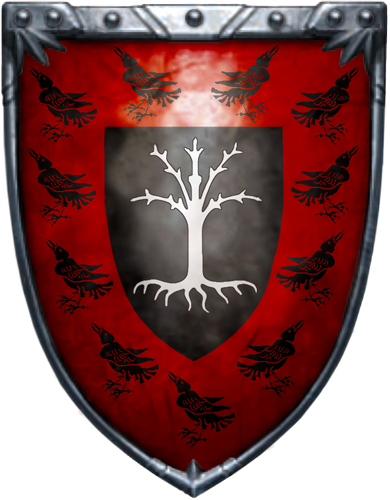 Their sigil is a flock of ravens on scarlet surrounding a dead weirwood on a black escutcheon. 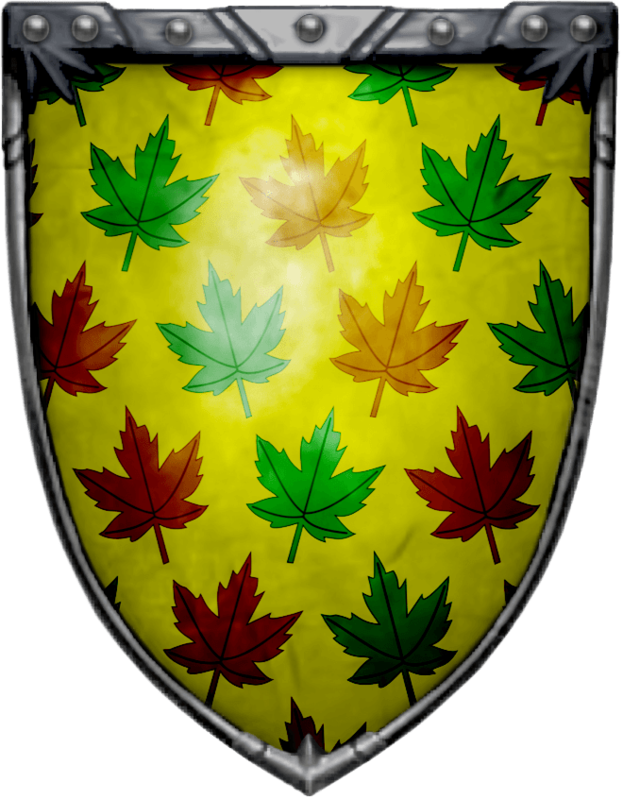 Their sigil is maple leaves, green and brown, strewn on a field of yellow. 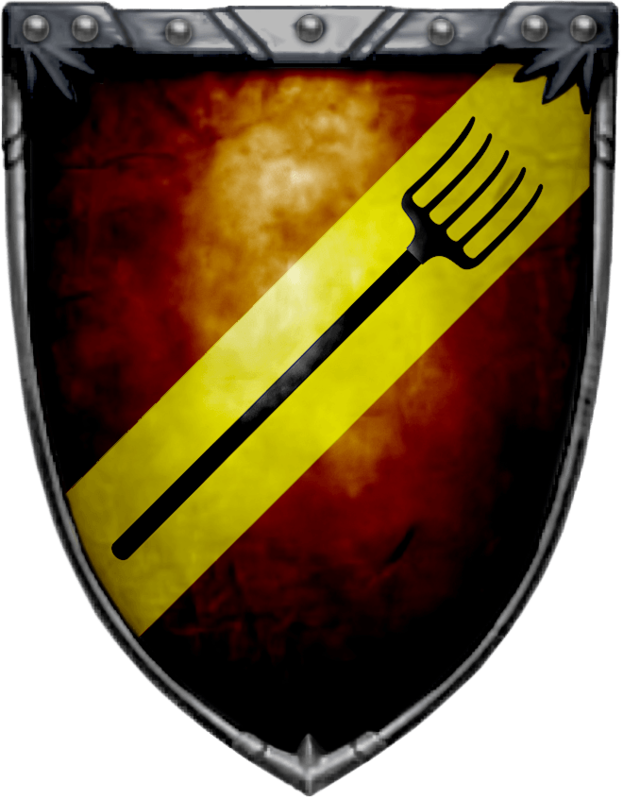 House Bracken is one of the oldest and most distinguished houses of the Riverlands, who, according to legend, were also petty kings of the Trident though they lost their titles with the coming of the Andals. Tracing their lineage back to the Age of Heroes, they have ruled their lands with holdings along the Red Fork from Stone Hedge for as long as anyone can remember. While a chief house, they are better known for their ongoing feud with House Blackwood, a conflict that finds its origins in the Age of Heroes and has continued for thousands of years. Although the Brackens descend from the First Men, they set aside their devotion to the old gods to embrace the Faith of the Andals, an act that did nothing to contain the violence between the two houses. 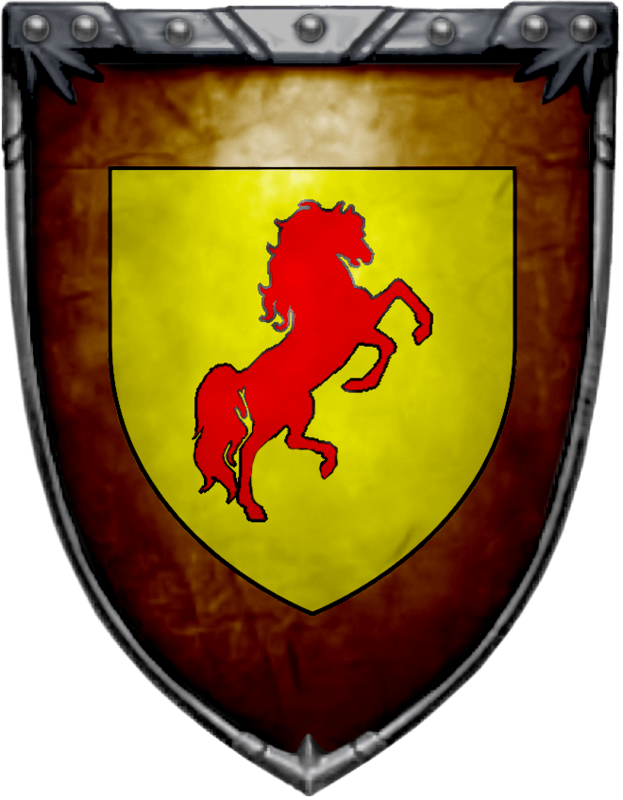 Their sigil is a red stallion upon a golden escutcheon on brown. 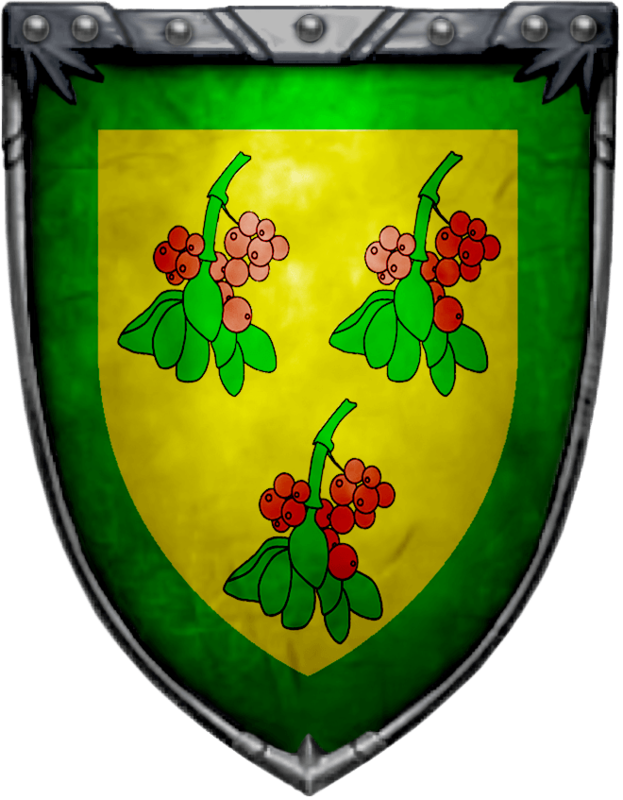 Their sigil is three sprigs of mistletoe, green and red, on gold inside a green border. House Darry had long been one of the greatest houses in the Riverlands. 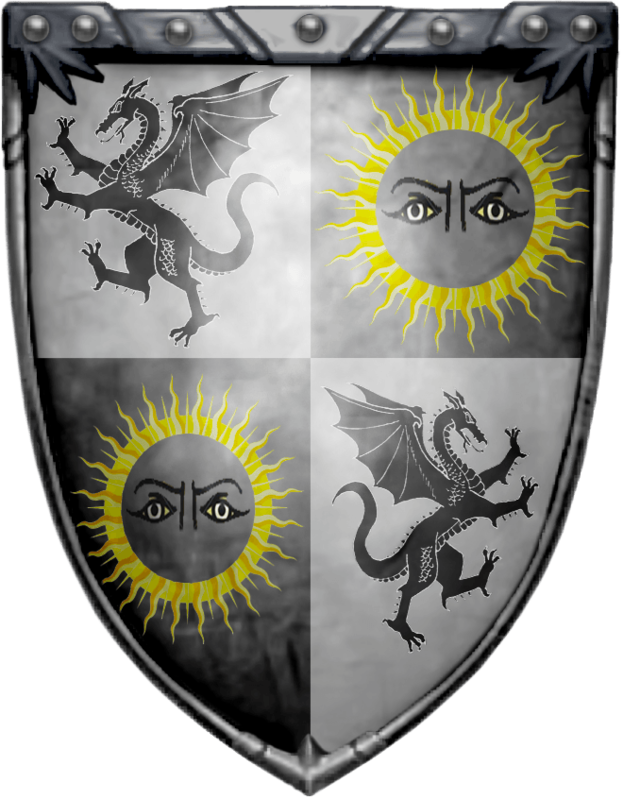 With a long history of support for House Targaryen, Darry has given many sons to the Kingsguard. While sworn to Riverrun, they had close ties to the Iron Throne. 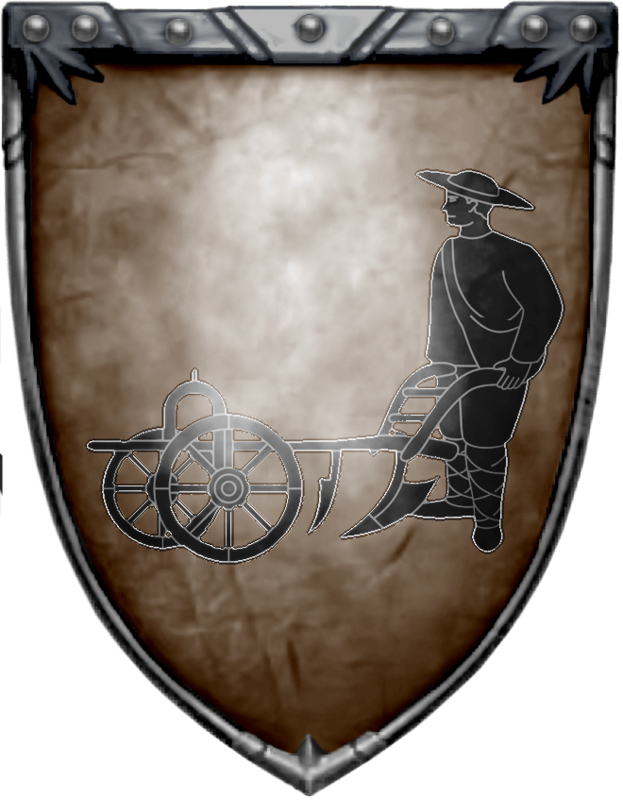 Their sigil is a black plowman on brown. A small but wealthy house. 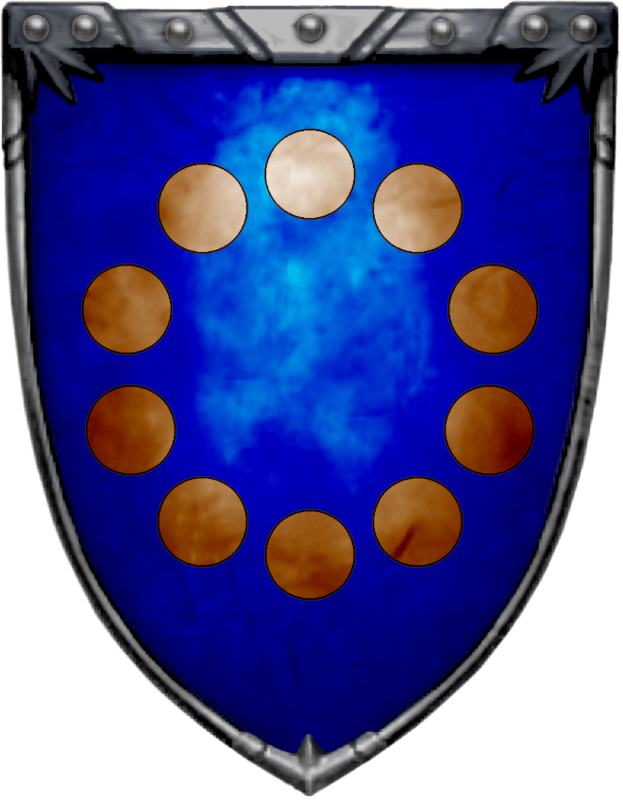 Their sigil is a ring of coins on a white and blue quarterly wavy. House Erenford is sworn to House Frey. 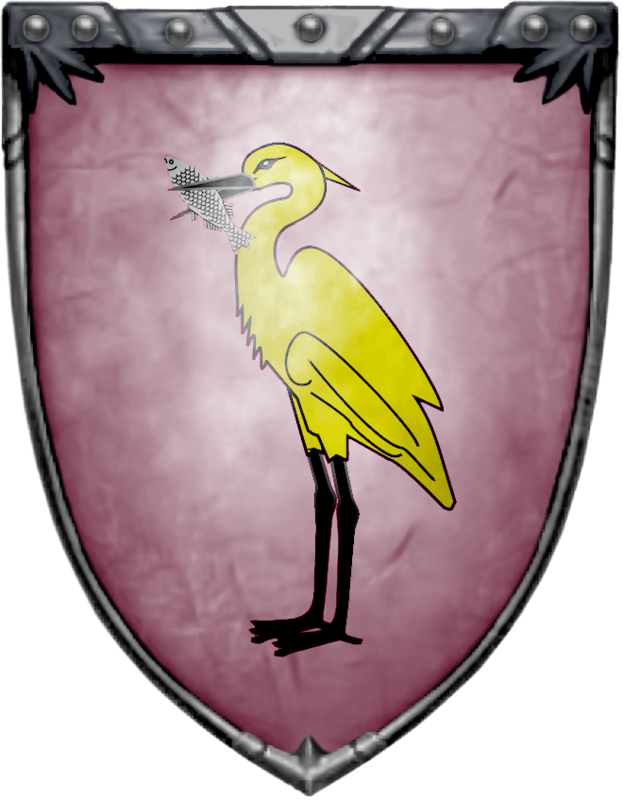 Their sigil is a golden heron, beaked and gammed black, standing with a silver fish in its beak, all on a pink field. House Frey has ruled the Crossing for nearly six hundred years. A relatively recent house, they came to power when they gained the lands around the Green Fork near the Neck. To secure their power they raised a great castle in the center of the river and placed bridges at either side. These wooden spans were eventually replaced with stone, and stolid twin keeps were raised to guard them. Although the Freys came from modest beginnings, their tenacity and ambition, as well as the steady flow of gold levied from those wishing to cross, have elevated them to the position of one of the most powerful houses under the Tully banner. The Freys have always put their own concerns above those of their lords. Although sworn to Riverrun they have been anything but diligent about performing their duty. House Frey has ever worked to expand their holdings. Their lands include a number of villages including Hag’s Mire and Sevenstreams. While content to push south, they have always craved the Neck and have mounted several invasions into the lands of the crannogmen in the hopes of claiming the territory for themselves. 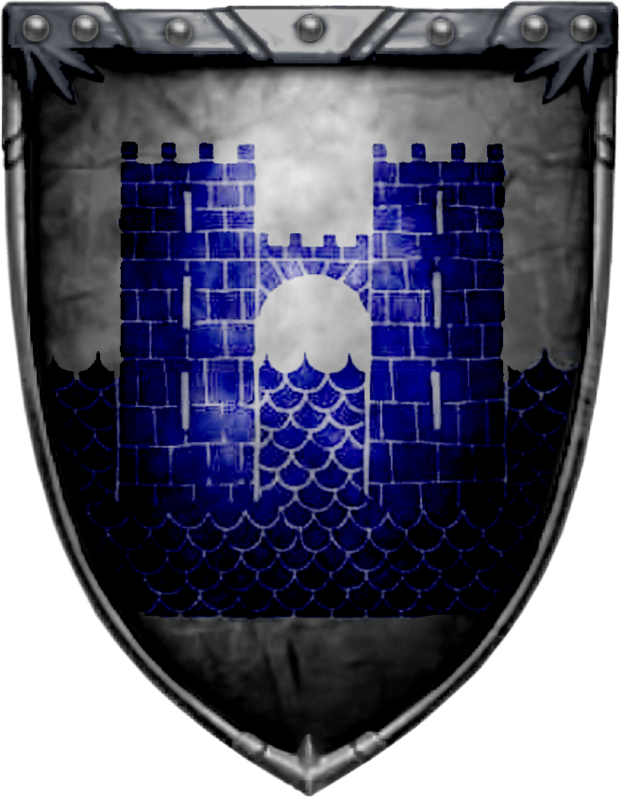 Their sigil is two blue towers on silver-grey. 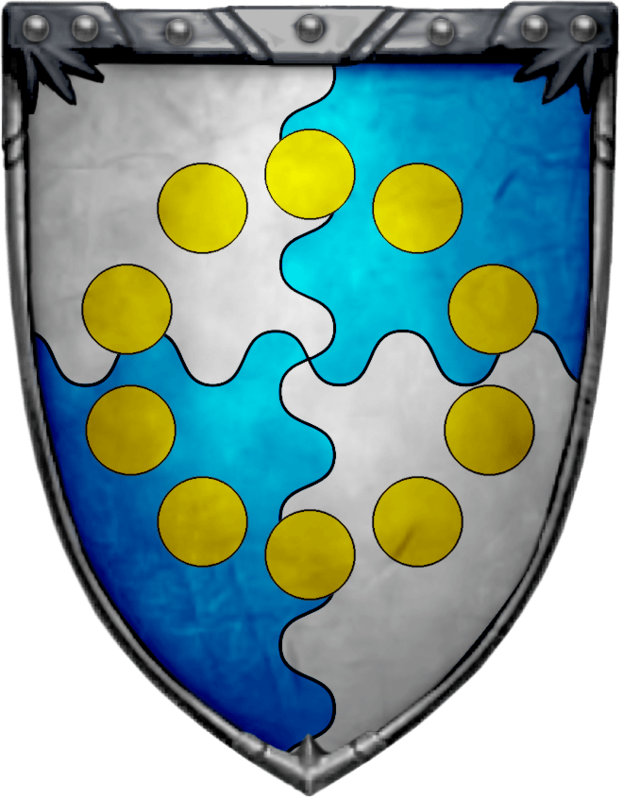 Their sigil is a blue wavy bend on a gold field. Eldene (Meadows) Goodbrook (b. 86). Married Abros Goodbrook. Abros Goodbrook (b. 86) Married Eldene Meadows. Belanna Goodbrook (b. 117) Third born, daughter of Eldene & Abros. Betrothed to Gawane Swyft. 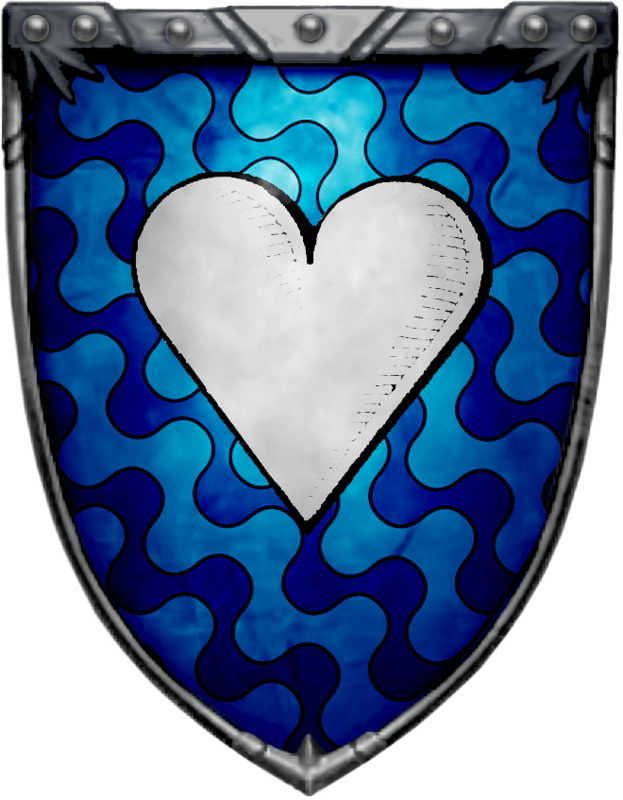 Their sigil is light blue and dark blue wavy field with a white heart center. 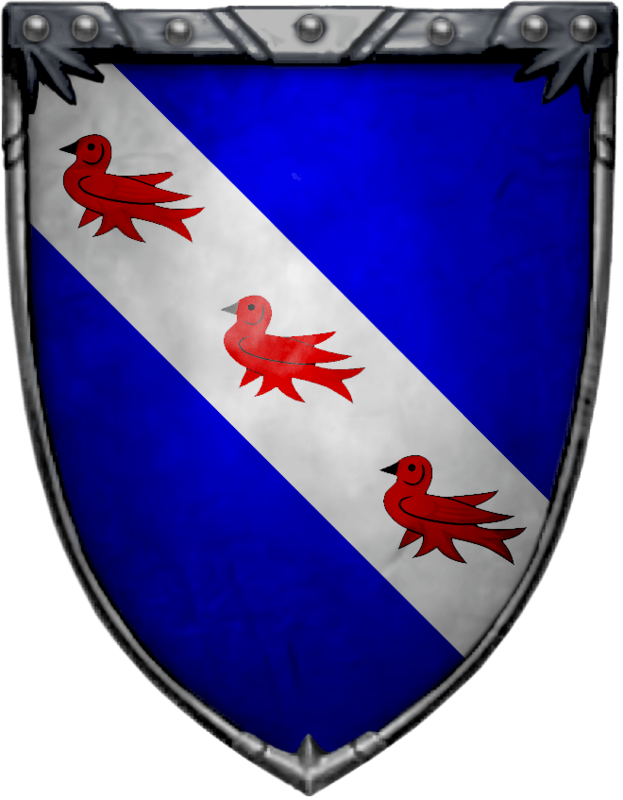 Their sigil is three red martlets on white bend, on a blue field. House Haigh is sworn to House Frey. Their sigil is a black pitchfork on a golden bar sinister on russet. 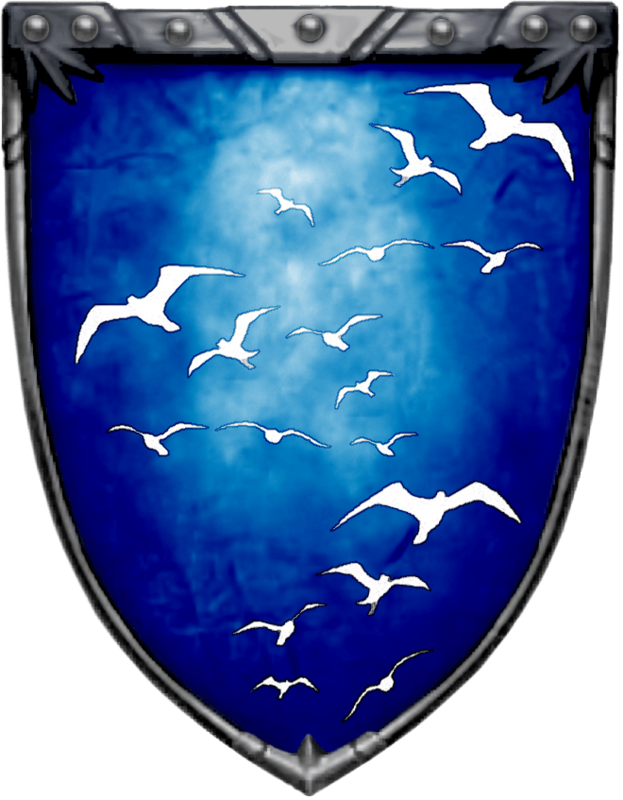 Their sigil is a white sea birds strewn on a blue field. 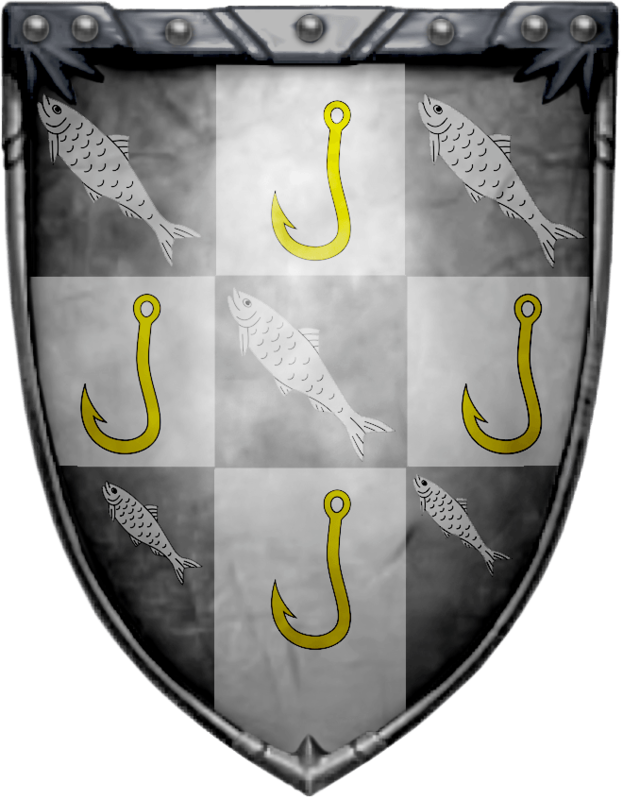 Their sigil is a quarterly of nine - a white fish on grey, a golden fish hook on white. 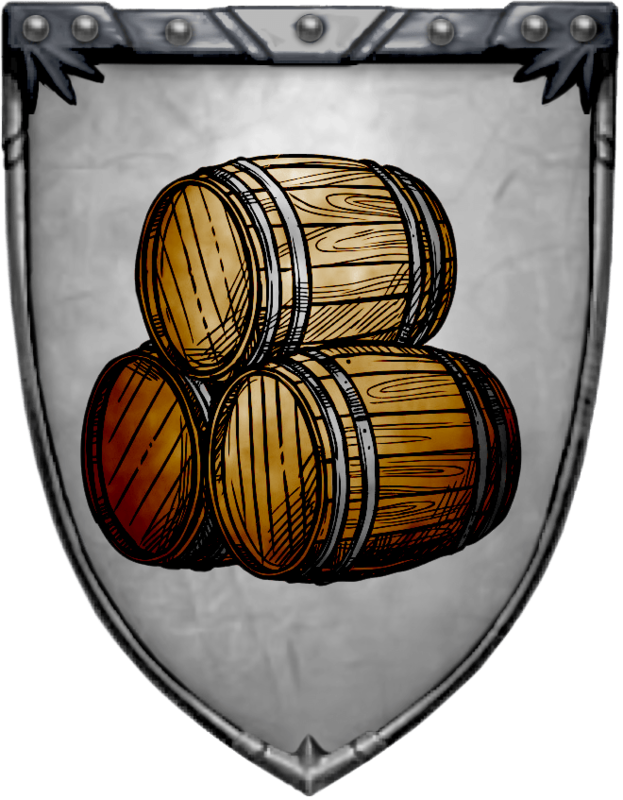 Their sigil is a three oaken barrels on white. 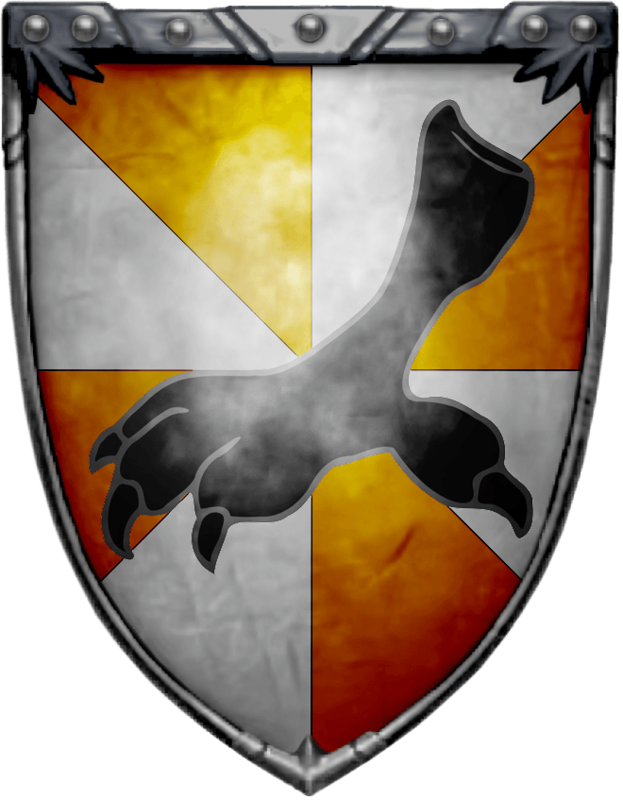 Their sigil is an orange and white gyronny, a black talon. 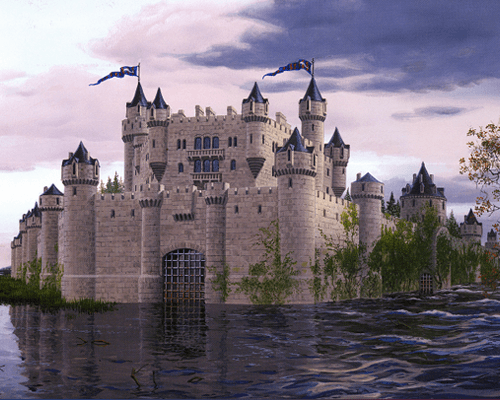 Near the Cape of Eagles stands Seagard, a great castle, and seat of House Mallister. This old castle was raised to protect the coast against ironmen raiders and still serves in this capacity to this day. Its greatest feature is the Booming Tower, a mighty tower equipped with a great bronze bell that’s rung when longships are sighted. It has never rung to date. The people of Seagard have a bone-deep distrust of the ironmen and see the Greyjoys of Pyke as their greatest enemies. The castle and surrounding community are well fortified, able to resist just about any strong attack from the sea. House Mallister is sworn to the Tullys, but they have close ties to the Starks as well. Their sigil is a silver eagle displayed on indigo. Another older house in the Riverlands, House Mooton rules their lands from Maidenpool, where it’s said Florian the Fool first beheld Jonquil. 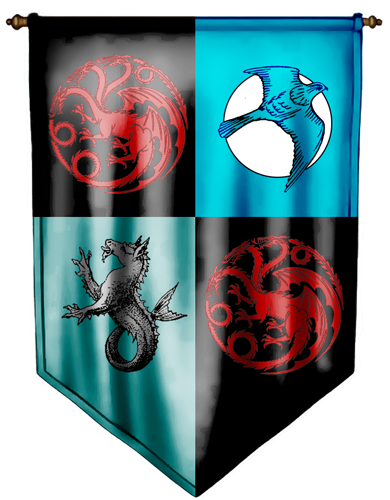 Legends aside, House Mooton was well known for their ties to House Targaryen. 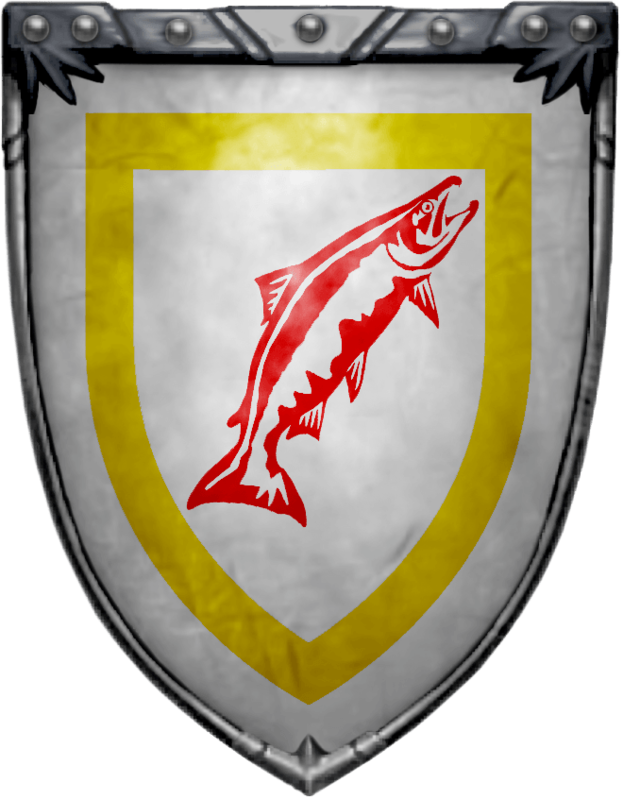 Their sigil is a red salmon on white, a gold tressure. 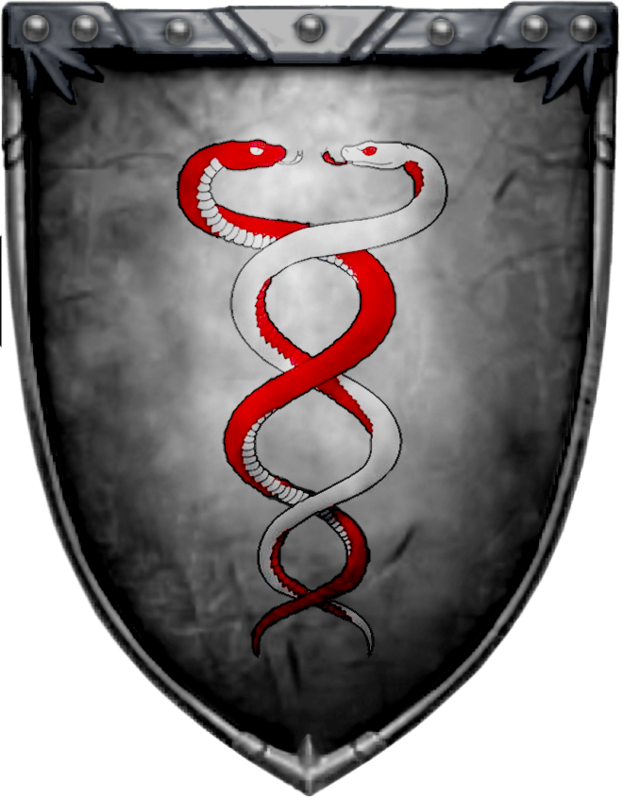 Their sigil is a twining red-and-white snakes on black. Their sigil is a ring of copper coins on a blue field. The Pipers of Pinkmaiden Castle are an important and influential family in the Riverlands. Their holding stands near the Red Fork, about halfway between its source and Riverrun. They are valued for the support and House Grell House Mallister House Mooton House Piper fealty they give to House Tully. Their sigil is a dancing maiden pink in a swirl of white silk, on blue. Ardros Piper (b. 116) Heir of Pinkmaiden Castle, Betrothed to Ormana Meadows. 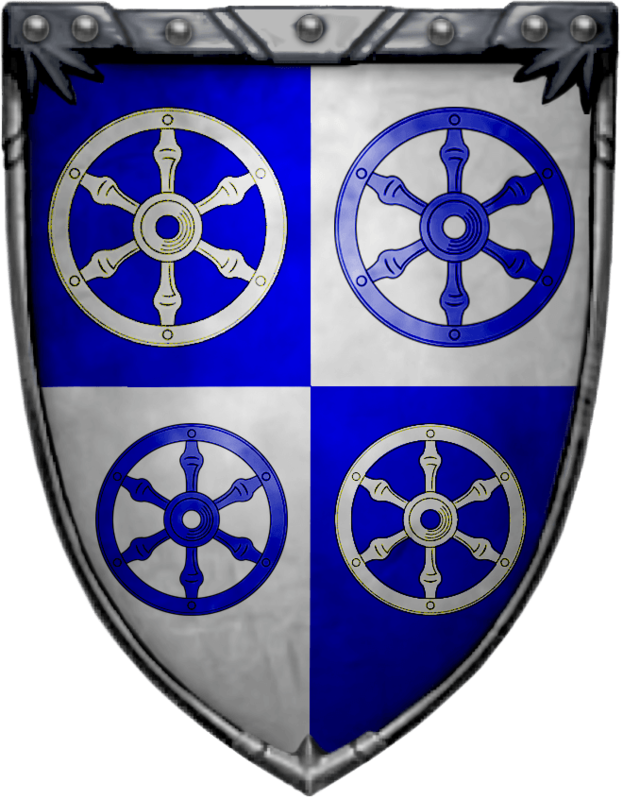 House Roote was granted Lord Harroway’s Town and the nearby holdings when House Harroway of Harrenhal died out. The town and its lord are both unexceptional, except for the “two-headed water horse,” a great ferry that is the only way to cross the Trident here, said to date back to the days of Old King Andahar. 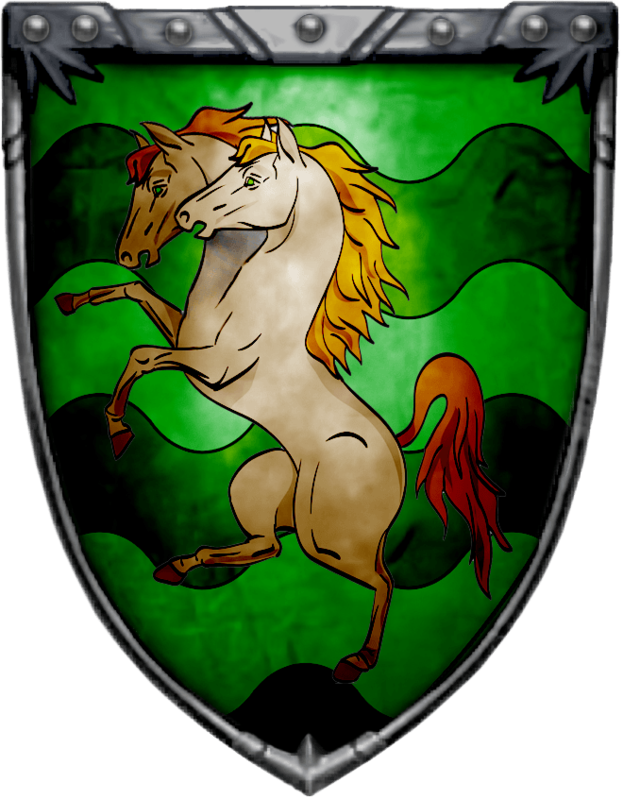 Their sigil is a two-headed horse, brown, on a field of wavy green and dark green. Their sigil is a weeping willow, green on white. 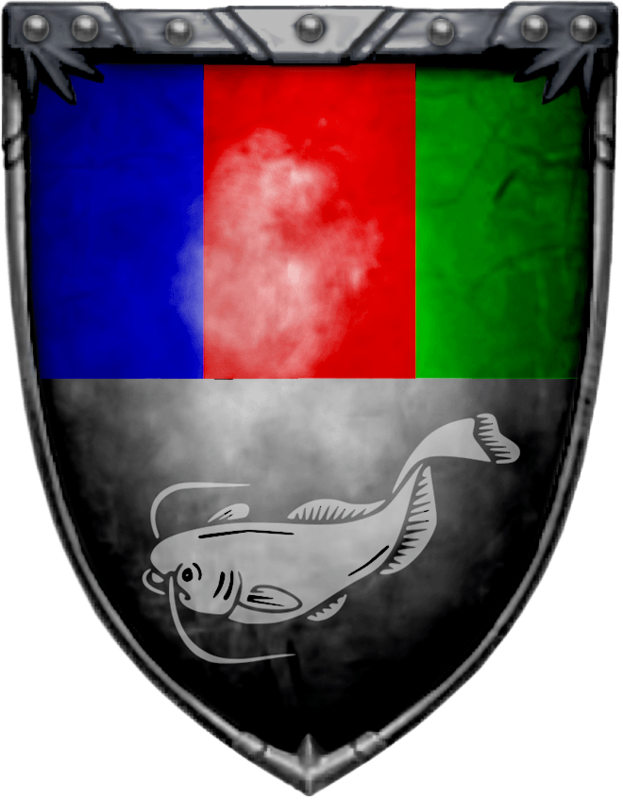 Their sigil is a Per fess - blue, red, green above, a white catfish on black below. A vassal to Lord Vance. They possess a great oaken keep surrounded by stone curtain walls. 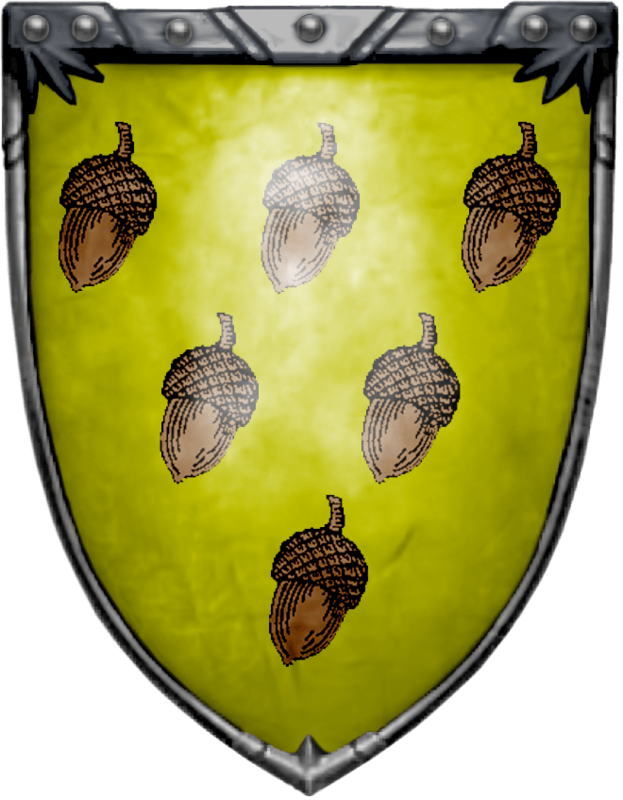 Their sigil is six brown acorns 3-2-1, on yellow. 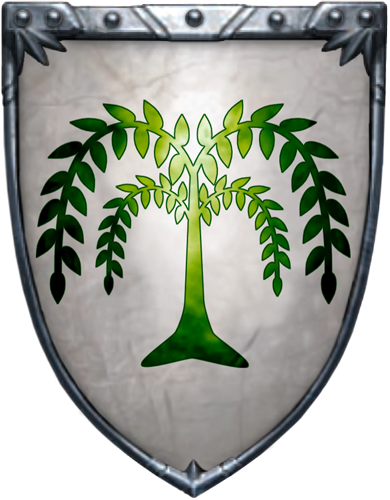 House Strong succeeded House Harroway in ruling Harrenhal and its surrounding lands. Lyonel Strong, Lord of Harrenhall and Hand of the King, Lyonel was a Maester before he was made Head of House Strong. He had earned six links during his studies at the Citadel. He also served as Master of Laws for King Viserys I in 105. It was after Otto Hightower first stepped down, did he rise to be Hand of the King. Lyonel's eldest son, Harwin, was the head of Princess Rhaenyra's guard while she was married to Laenor Velaryon. The three sons she had during this time bore a striking resemblance to Harwin Strong. So rumors of course abound. Both Lyonel and Harwin were killed in a now infamous fire at Harrenhal, more victims of the curse of the castle! Larys Strong, current Lord of Harrenhal is Master of Whisperers for King Viserys I. The Strongs are some of Rhaenyra’s strongest supporters. 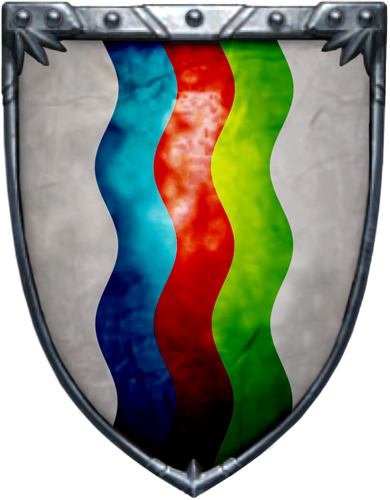 Their sigil is a tripartite pale blue, red, and green on white. 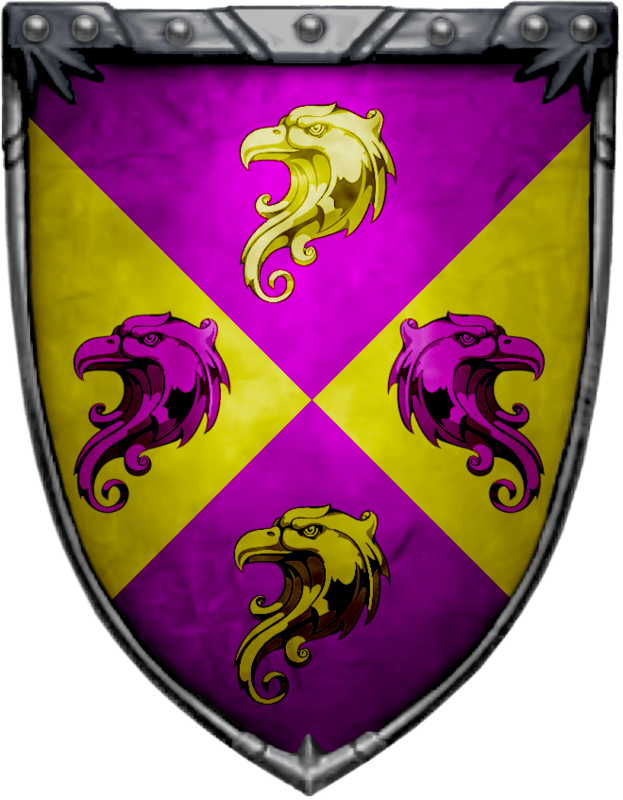 Their sigil is a per saltire purple and gold, four hawks’ heads countercharged. Vance family. 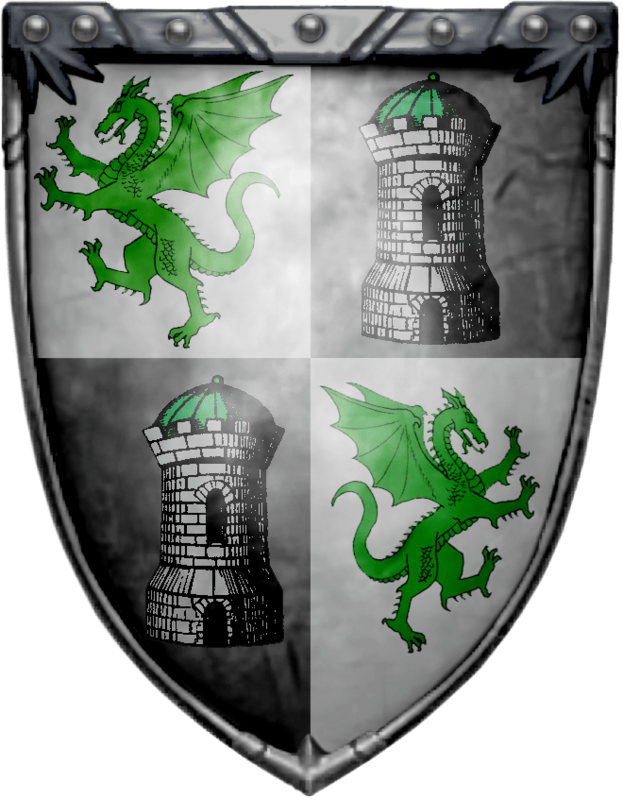 Their sigil is quartered - a green dragon on white, a white tower on black. 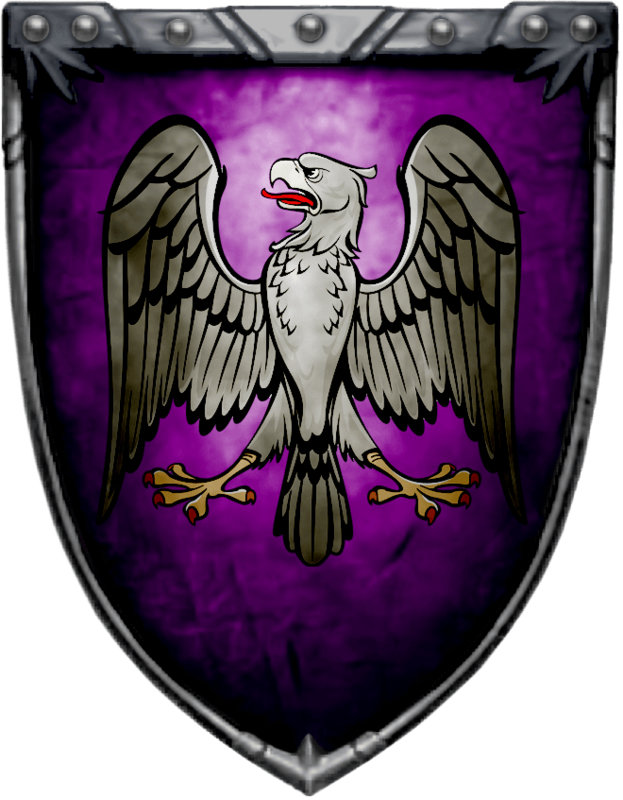 House Vance of Wayfarer’s Rest is the other branch of the extended Vance family. 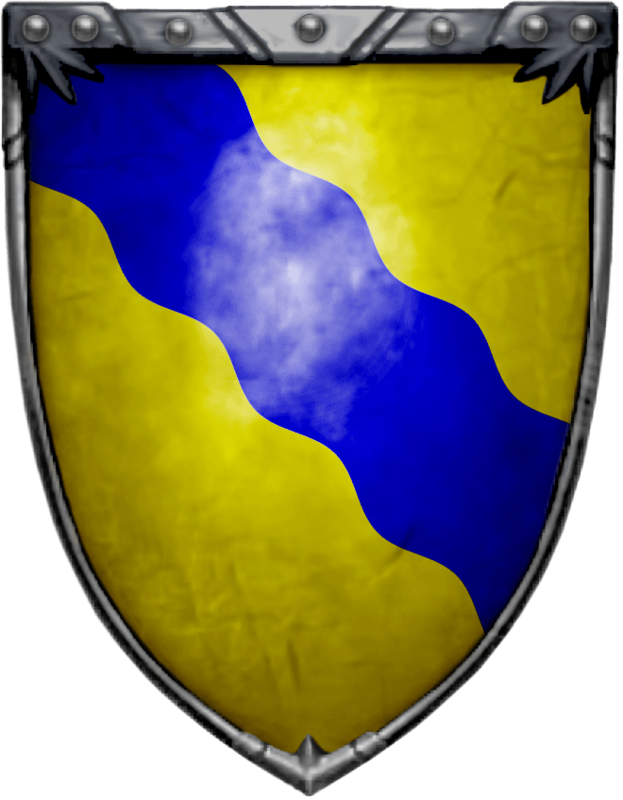 They are a powerful house, with many smaller banners sworn to them, such as the Smallwoods. 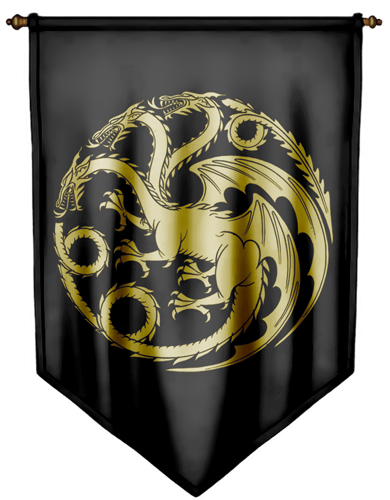 Their sigil is quartered - a black dragon on white, two golden eyes in a glowing ring on black. 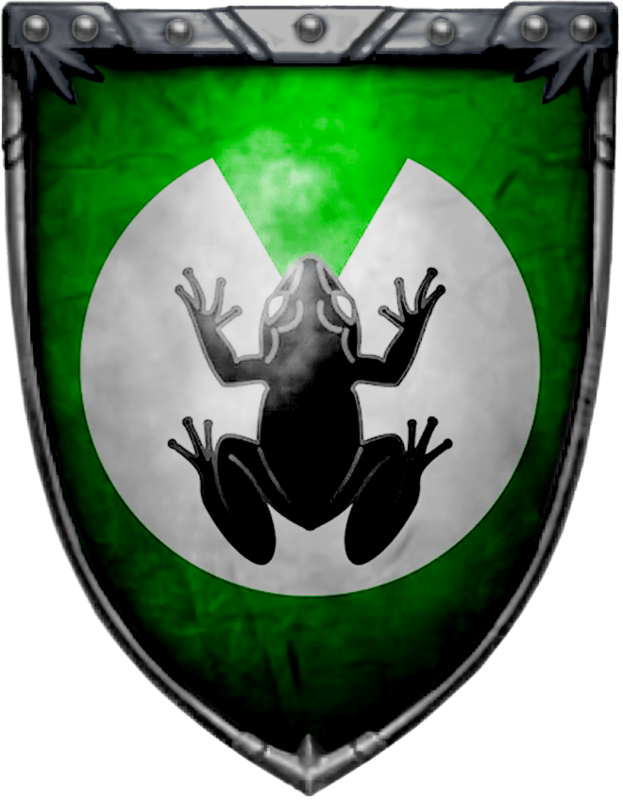 Their sigil is a black toad on white lily pad, on green. Their sigil is four wheels countercharged on quartered blue and white. 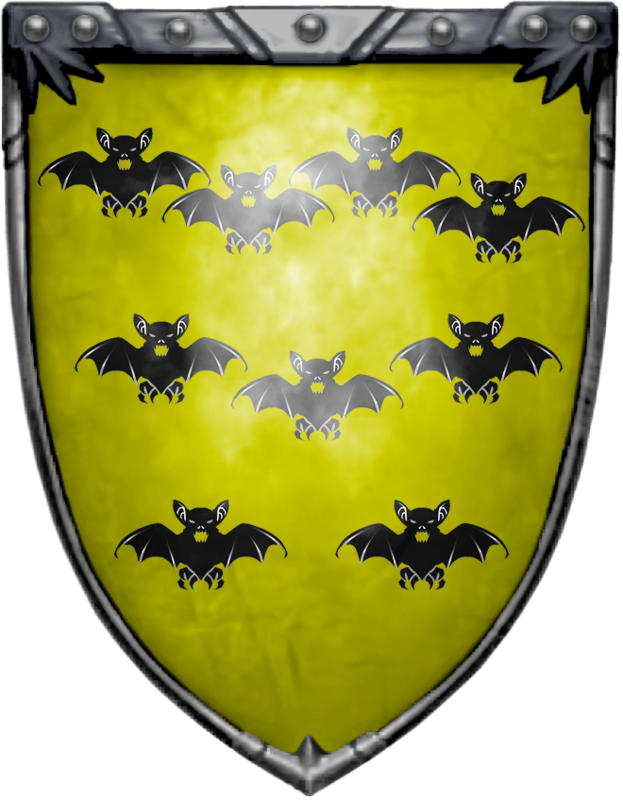 Their sigil is nine black bats - 4-3-2, on yellow. This house is sworn to the Lords of Harrenhal. 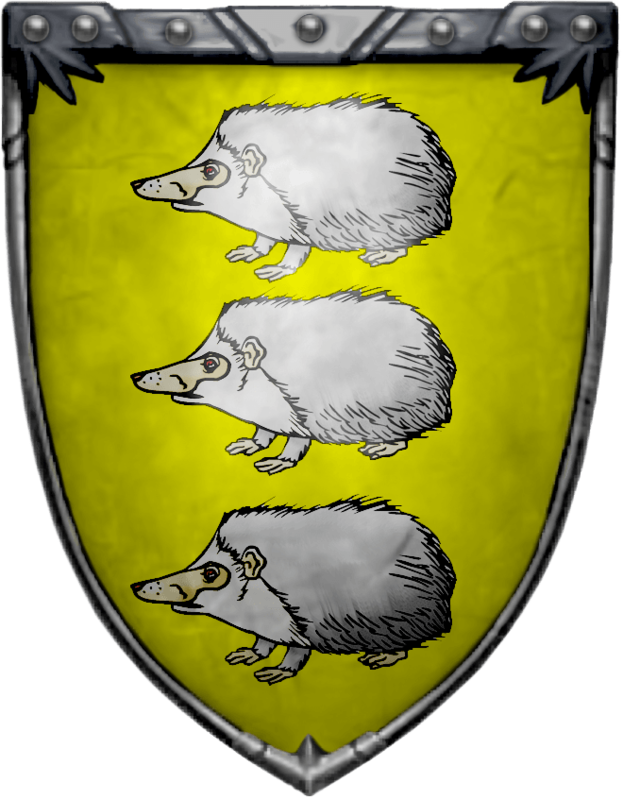 Their sigil is three white hedgehogs on yellow.